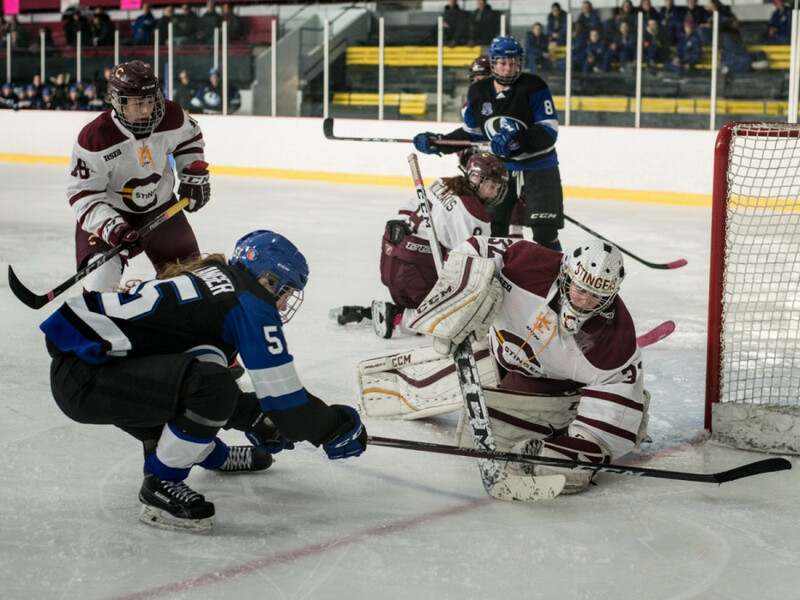 Artisan of the squad’s most recent shutout, Alice Philbert, was in net for Concordia— an important vote of confidence from head coach Julie Chu. Philbert had to fill in the starting job for an injured Katherine Purchase in the early stages of the season. She put up a strong record, allowing Chu to send her into action with confidence against any opponent. Philbert’s performance was all the more impressive considering that she managed to shut down one of the most lethal offences in the league. She had a hard time taking credit for the win. Concordia benefited from Philbert, but their goalie was not the only one determining their victory. The duo of Audrey Belzile and Lidia Fillion were once again essential to the Maroon and Gold’s success. Belzile scored the insurance goal while adding an assist, and Fillion was able to find the back of the net on two occasions. Fillion, who now has seven goals on the season, shares the title of the team’s top scorer with Belzile and Sophie Gagnon. Despite a plethora of quality scoring chances, Concordia was unable to convert in the first frame. The first goal came five minutes in to the second period, when Fillion finished a setup from her linemate, Belzile. Fillion added her second before the end of the frame, this time on the power play. She simply had to lift the puck past Montreal’s netminder Aube Racine following a great individual effort from standout rookie Rosalie Bégin-Cyr. Montreal’s lone goal came off an offensive turnover by Gagnon, a rare bad play from the veteran forward. 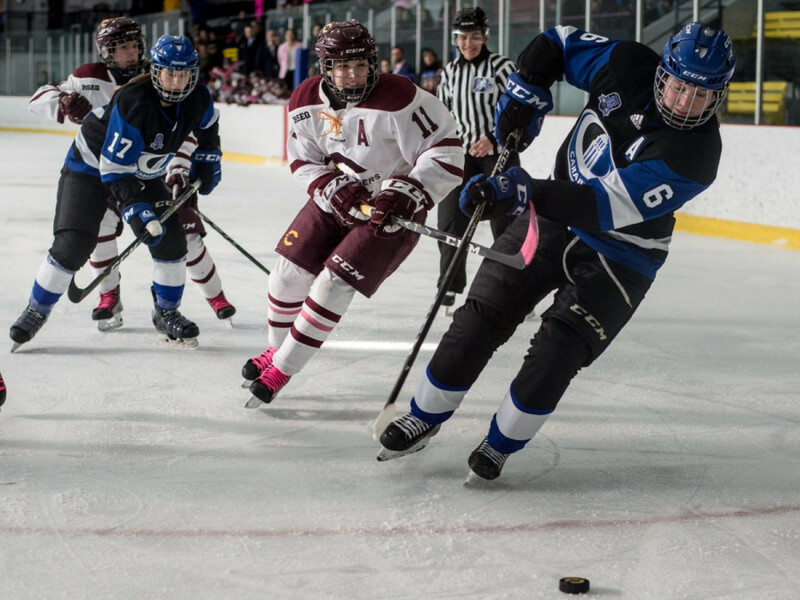 The Carabins ran the play right back up the ice, culminating in a beautiful forehand-backhand breakaway goal by Annie Germain. 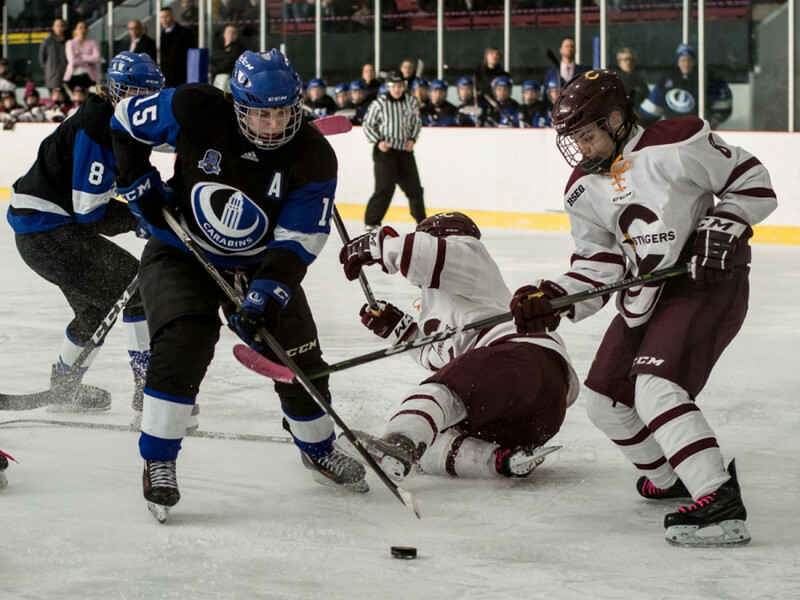 The Stingers are now trailing Montreal by a single point in the Réseau du sport étudiant du Québec rankings, as the Carabins have a game in hand over the Stingers. But there’s still a serious chance for Concordia to finish atop of the standings. They’re set to take on the University of Ottawa Gee-Gees next Sunday at Ed Meagher to close out the regular season.